FSCI pr ovides third-party municipal plan reviews based on traditional paper plans or, in certain instances, can provide reviews based on electronic submittals subject to local jurisdictional accepted practices. 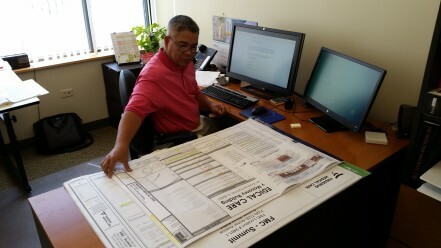 We typically complete all third-party, municipal building plan reviews within 10 business days. FSCI reviews will comply with local amendments and can include structural plan review upon special request. An expedited plan review service is available for an additional fee which reduces completion time to 5 business days. Subsequent reviews are normally completed at no additional cost to submitter. Plan reviews for tenant buildout or remodeling projects are completed at fees which are discounted from our standard fees. All third-party, municipal building plan review fees include one project meeting and unlimited phone consultation. We would like to remind our clients and customers that the Building/Life Safety Plan Review Transmittal Form needs to be included with ALL Building/Life Safety Plan Review submittals sent to our offices for review. We are committed to accurately and promptly completing your plan review, so please be sure to fill in all sections of the transmittal form. Failing to do so will cause a delay in getting your review completed while we wait for missing information.